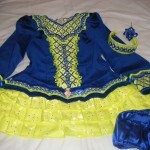 Gorgeous Shauna Shiels dress – Doire Designs. 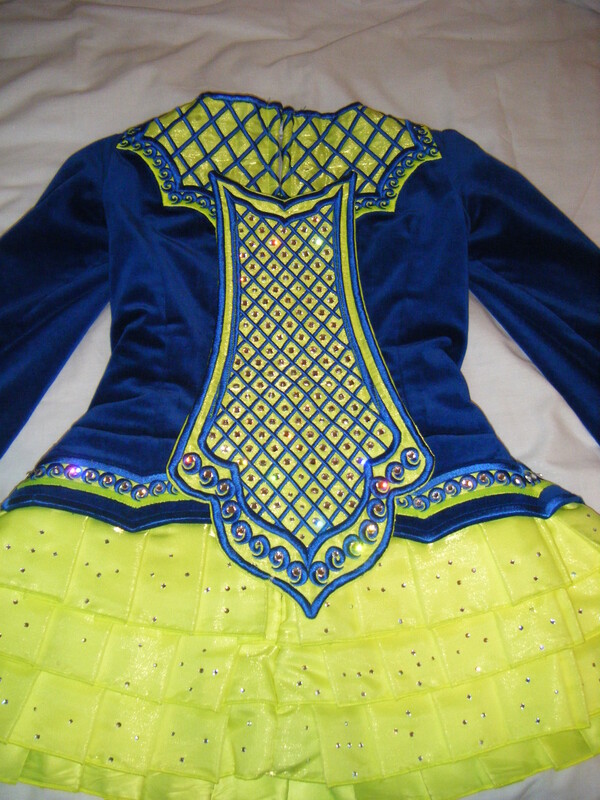 Royal blue velvet with bright yellow. 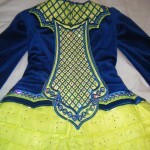 Dress has crystals on front and back panel. Smoke free home and stored flat. 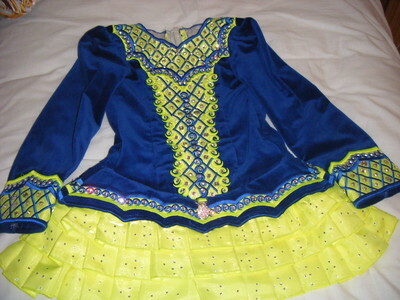 Dress is in excellent condition, no tan marks or stains. 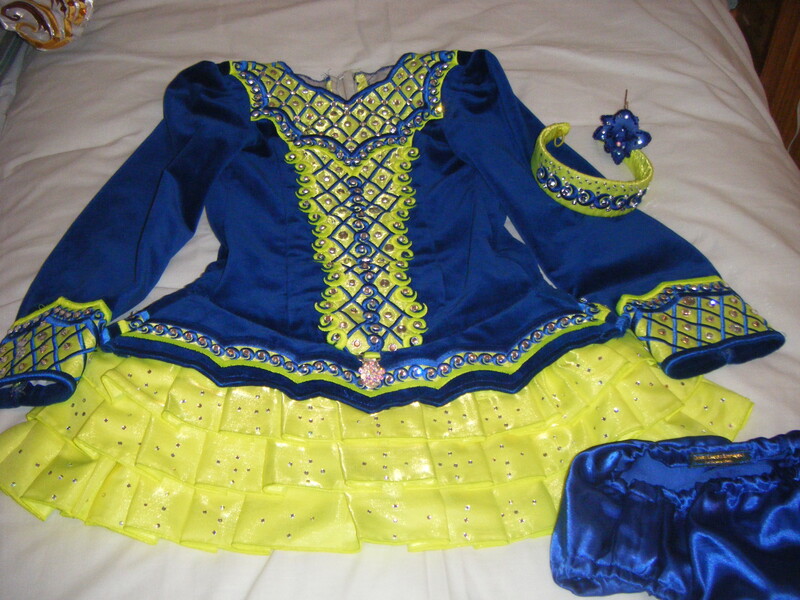 Comes with crystal number holder, matching royal blue bloomers and matching yellow and blue headband together with blue rose for hair. Worn by 9/10 year old average height and build. Plenty of room to let down approximately 3 inches . Asking Price: Euro 400 or nearest offer. Shipping costs are included for my own country, overseas shipping is extra. Sale is final.